In this paper, we observe that if we have an open quantum system consisting of a Fermi gas trapped in an optical lattice interacting with a bath composed of a degenerate Fermi gas, and if the system itself is prepared in an entangled state, then this initial state will keep the average number of particles in each lattice site and the entanglement throughout the lattice constant through time. This implies that quantum transport of particles or entanglement throughout the lattice is facilitated by the dissipative effects of the coupling with the bath of excitations in the form of another Fermi gas. V. Villegas and R. C. Caballar. 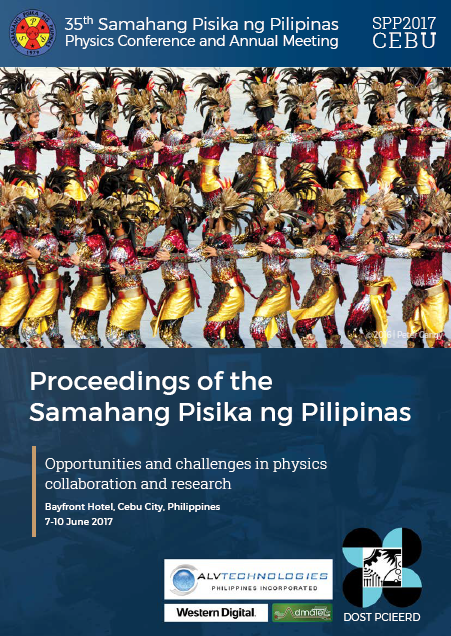 Entanglement preservation in an ultracold Fermi gas coupled to a reservoir of excitations, Proceedings of the Samahang Pisika ng Pilipinas 35, SPP-2017-PB-34 (2017). URL: https://paperview.spp-online.org/proceedings/article/view/65.